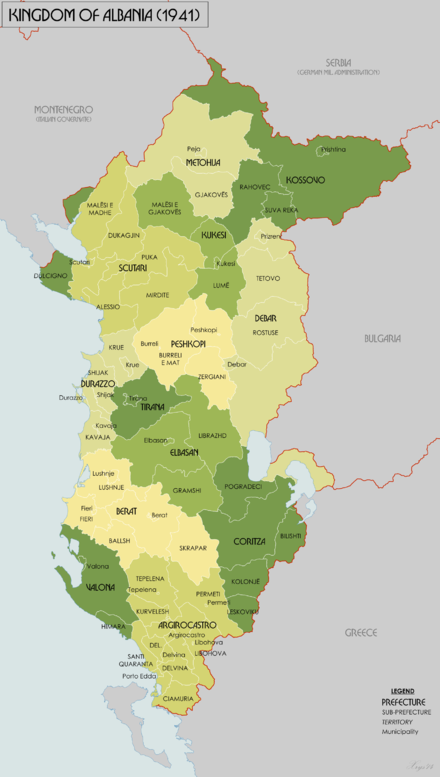 Prior to direct intervention in World War I, Italy occupied the port of Vlorë in Albania in December 1914. 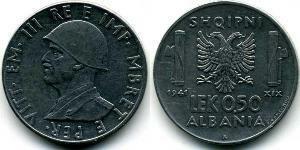 Upon entering the war, Italy spread its occupation to region of southern Albania beginning in the autumn 1916. Italian forces in 1916 recruited Albanian irregulars to serve alongside them. Italy with permission of the Allied command, occupied Northern Epirus on 23 August 1916, forcing the neutralist Greek Army to withdraw its occupation forces from there. 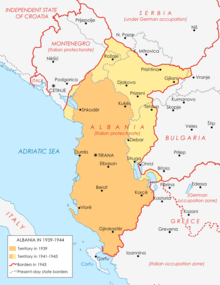 In June 1917, Italy proclaimed central and southern Albania as a protectorate of Italy while Northern Albania was allocated to the states of Serbia and Montenegro. 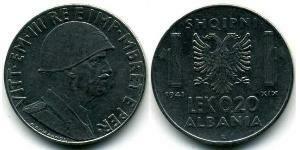 By 31 October 1918, French and Italian forces expelled the Austro-Hungarian Army from Albania. 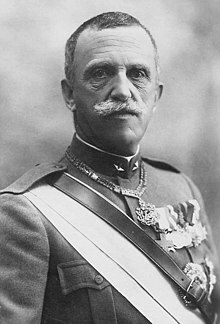 After World War I ended, Italy was pressured to withdraw its military forces and did so on 2 September 1920. ^ a b c d e f g h i Nigel Thomas. Armies in the Balkans 1914-18. Osprey Publishing, 2001. Pp. 17. ^ Zara S. Steiner. The lights that failed: European international history, 1919-1933. Oxford, England, UK: Oxford University Press, 2005. Pp. 499. ^ Keegan, John; Churchill, Winston (1986). The Second World War (Six Volume Boxed Set). Boston: Mariner Books. pp. p314. ISBN 0-395-41685-X. ^ Zabecki, David T. (1999). World War II in Europe: an encyclopedia. New York: Garland Pub. pp. p1353. ISBN 0-8240-7029-1. ^ Owen Pearson (2006). 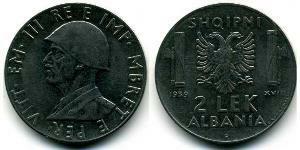 Albania in the Twentieth Century, A History : Volume II: Albania in Occupation and War, 1939–45. London: I. B. Tauris. pp. p167. ISBN 1-84511-104-4.